Is the vacant and dusty area in front of your property giving the wrong impression? Why not convert that space into an elegant driveway? 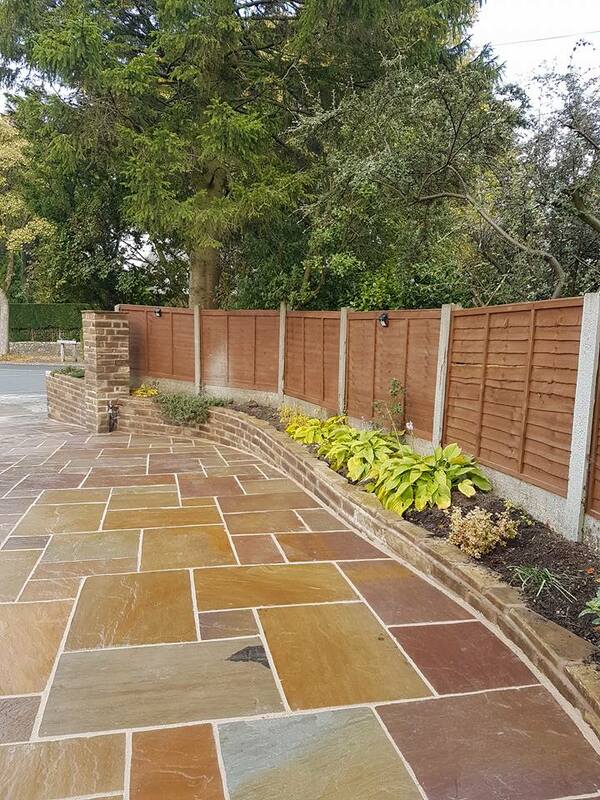 At Hartwood Landscapes, we’ll help enhance the value of your property with friendly and professional driveway and paving services in Chorley and all across Lancashire. Our fully experienced and qualified pavers will work closely with you to understand your requirements and provide you with the finest paving solutions for your property. You can be sure that we’ll clean up your place and leave no loose ends at the end of the day. At Hartwood Landscapes, every project is unique to us. With over 10 years of experience in the trade, you can be sure that all our work will be completed with quality finishing and utmost care to every detail. Our prices are affordable and we’ll ensure you make your payment only after when completely satisfied. We’re available in and around Chorley, Lancashire and nearby towns. Reasons why you should choose us! Contact usfor more information on our services. Nice church stone pillars with Indian stone drive…just waiting on the electric gates. Take a look at some more patio jobs we have undertaken and completed for our customers.